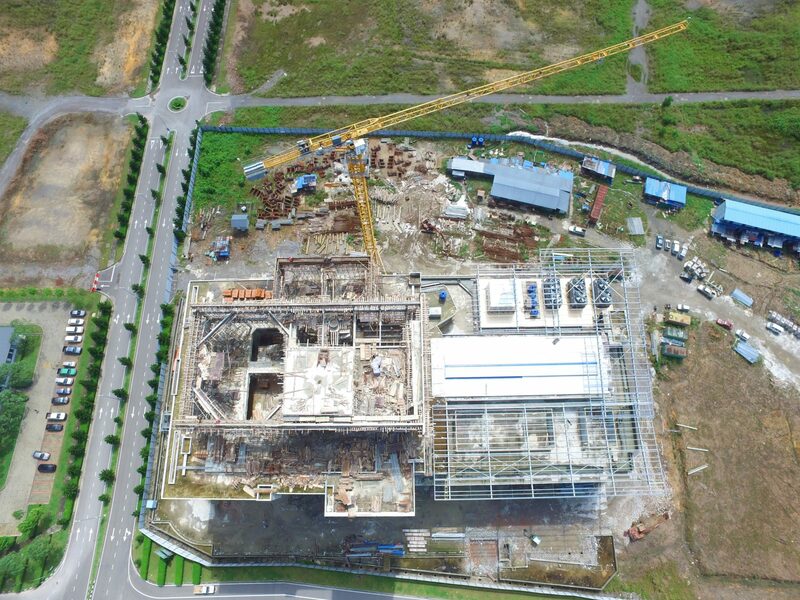 Slated to be completed in 2019, HSL’s new headquarters and accompanying neighbourhood shopping mall on the lower three floors is shaping up to be one of the most modern buildings in Sarawak. 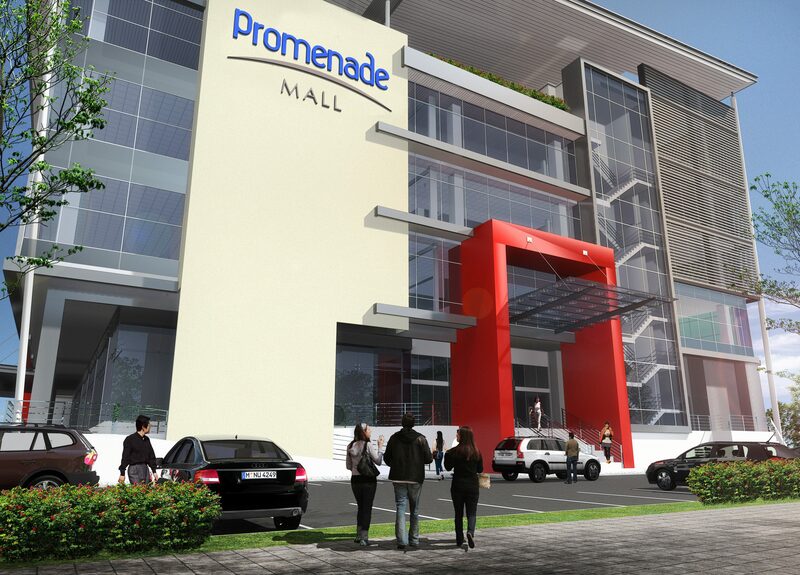 As the construction company recognises the importance of community being the heart of La Promenade’s masterplan, the mall was conceptualised for the convenience of the residents of the development as well as the staff members working there. The mall has 11,244 square meters of space and was designed to focus on services and basic needs which includes tenants such as an upscale supermarket, bank, clinic, pharmacy, gym, personal care as well as food and beverage outlets. The fourth floor of the building consists of office suites for rental and lease. 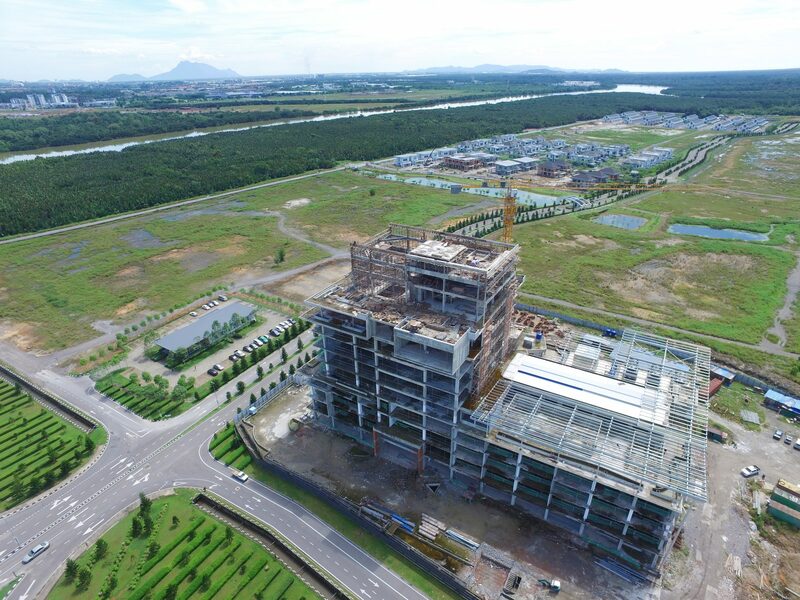 The site is just 50 meters after the bridge from Tabuan Jaya, while the expressway leads to Samarahan — Sarawak’s fastest developing township . The building is 15 minutes by car to Kuching International Airport, Swinburne University of Technology and two public universities. A stone’s throw away is the Sarawak General Hospital’s Heart Centre. HSL recognizes the fact that most Kuchingnites live within a 2-5km radius of their favourite shopping mall, viewing it as a venue for activities spent together with their families or friends. La Promenade Mall has the advantage of being sited along a busy expressway, giving it great exposure and hopefully attract hungry motorists and their passengers to the mall. 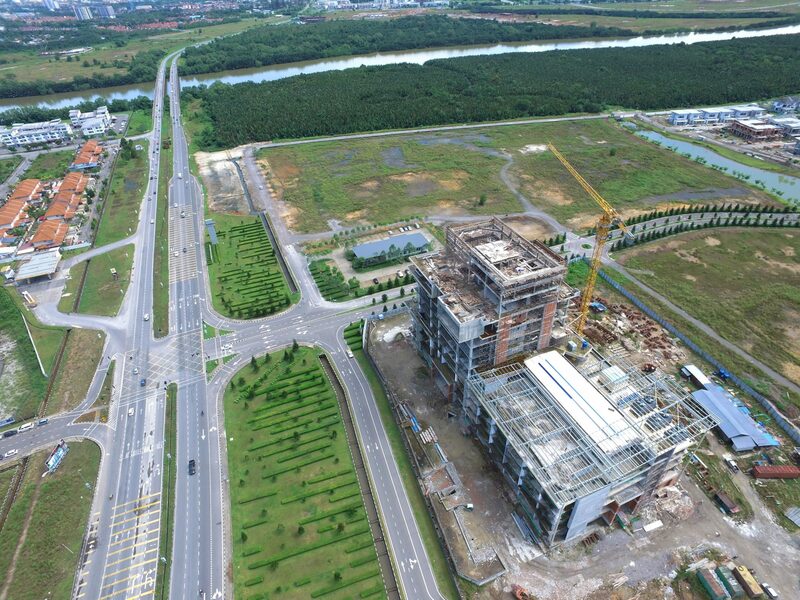 Once the 81ha (200 acres) of residential precincts and the offices are completed, there will be a substantial onsite customer base. 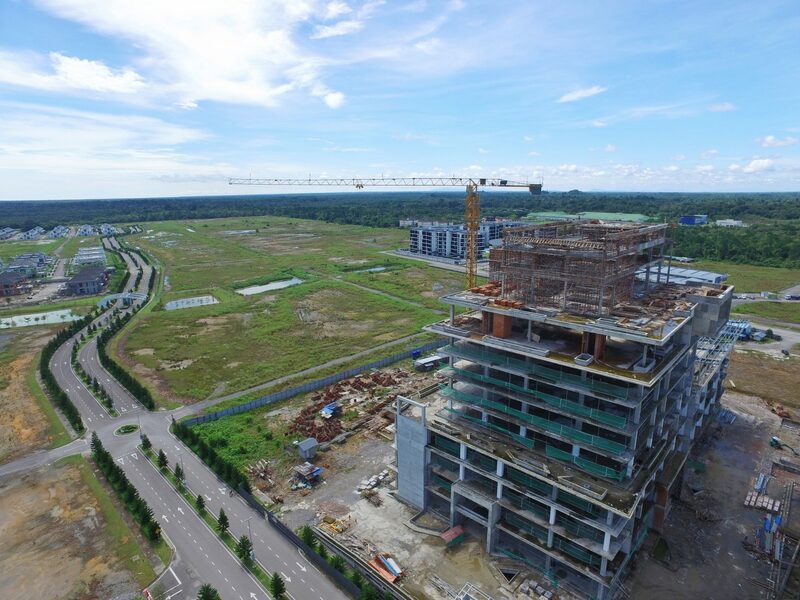 The site is just 50 metres after the bridge from Tabuan Jaya, located at the gateway to Samarahan with numerous high-end housing developments within a 2km radius. The expressway runs parallel to the Pan Borneo Highway and is the fastest growing urban area in Sarawak. A view of the La Promenade gardens from the fifth floor of the building, and its majestic Norfolk pine trees that line the entrance leading to the development. When completed, HSL’s new headquarters will be situated on floors 5 to 10 of the building, giving employees plenty of floor space to carry out their duties.